Chi LA Buffs | Two sisters. Two cities. Two sort-of experts. Two sisters. Two cities. Two sort-of experts. Reminder – we have moved! Hi all, just want to remind you that we have moved to www.unboundprocess.com. All of our old posts are there, so now all we need is YOU! Please follow us there, and be sure to enter the giveaway we posted today! Hi all – we are now posting on our new lovely domain, Unbound Process. Please follow us here! Although I absolutely loathe April Fool’s Day, it is still the start of a new month. And the start of a new month (and finally the start of spring in Chicago) is always a prime time to mix things up, do something fresh, or clean out your childhood closet. At least Maggie and I think so. With that in mind, we have been brainstorming over the past few weeks, and we’ve got some big changes coming up. And, granted the world doesn’t fall into disrepair tonight as a consequence of a terrible prank, we’ll be announcing our said changes tomorrow. So keep an eye out! 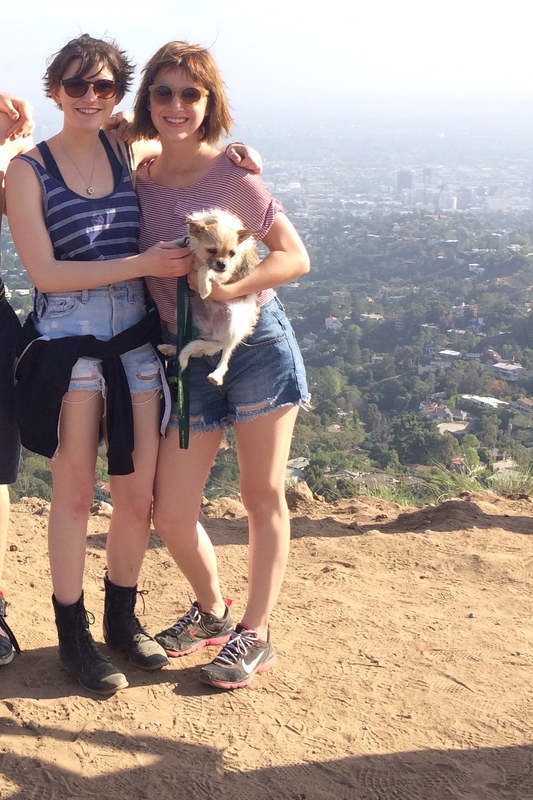 And in the meantime, here’s Maggie and me together in Los Angeles last week! Hey all. Sorry for the lack of posting, Erin and I have been busy, busy, busy. The good news is, Erin, Danny, and Marty are coming out here in just about two weeks (!!!!) for Burgerama and we are going to have lots of fun stories to share and Erin and I are going to have a “serious business meeting” (see: talk over tacos or while picnicking at the Getty) and sort of discuss where this blog is going, what sort of focus we want it to have, etc. etc, because it has been all over the place, which is awesome; we are both exploring things that are interesting to us and we hope are interesting to you. >>An interesting early 2000s-esque dance club take on The Police’s Roxanne by Nadia Ali. >>ASTR is this lovely Brooklyn duo and their take on Drake’s “Hold On, We’re Going Home,” is dreamy. >>CHVRCHES does Janelle Monae’s “Tightrope” and Ms. Monae digs it. I know I sound like every other person ever but I really cannot believe it is already March and that today is Fat Tuesday. Erin and I were raised Catholic, so when we were younger, this is the day we would binge on whatever junk food we were going to give up for the next forty days, usually candy, chocolate, pop, or bubblegum. I am not going to give anything up for Lent this year, because frankly, I am as lapsed of a Catholic as you can be, and even if I weren’t, would Jesus REALLY care if I gave up Diet Coke for forty days? He’s all like, “Thanks, Mags, that totes what I died for.” No. BUT. I am going to add some positive things to my life, including some of these amazing desserts. I thought it would be fitting to show off some recipes I am itching to try, seeing as it is Fat Tuesday. Anything with Nutella is good in my book. 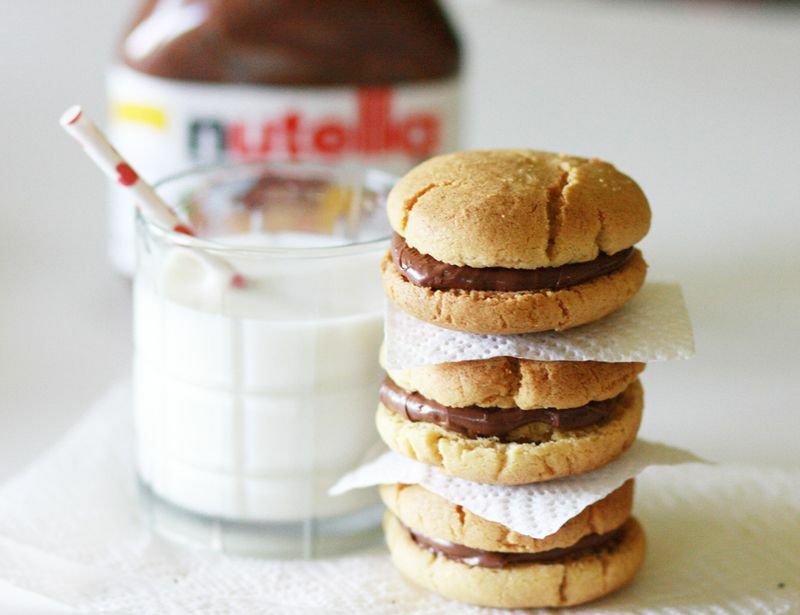 Nutella Sandwich Cookies from A Beautiful Mess. These are “healthy,” so I’m all about it. 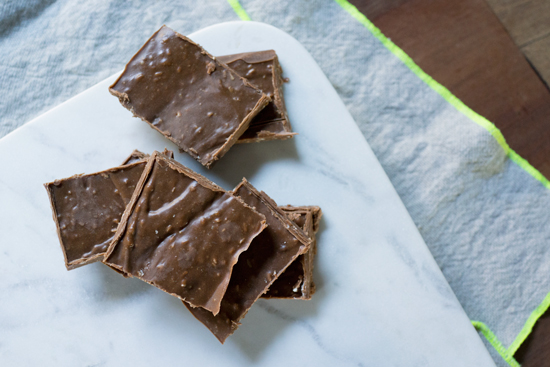 Coco-Nutty Fudge Treat by Oh Joy! 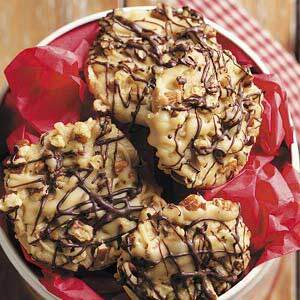 Double Drizzle Pecan Cookies because DUH. From A Taste of Home. 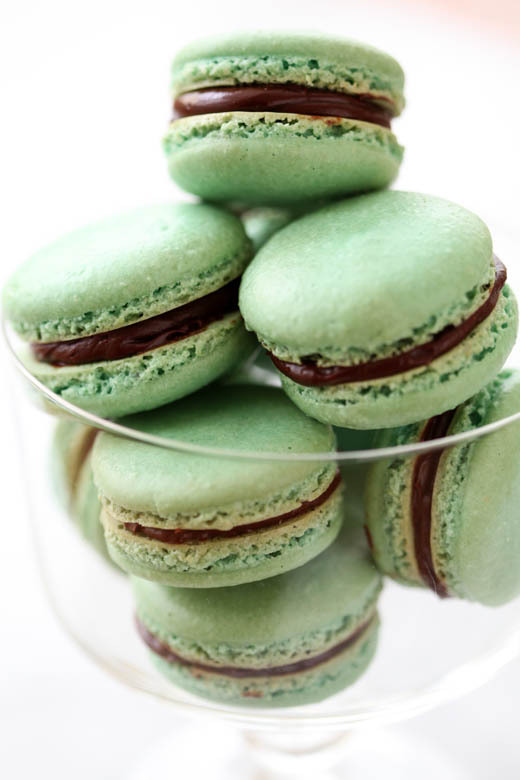 Mint Macarons by Zoe Bakes. PERFECT FOR SAINT PATTY’S DAY Y’ALL. 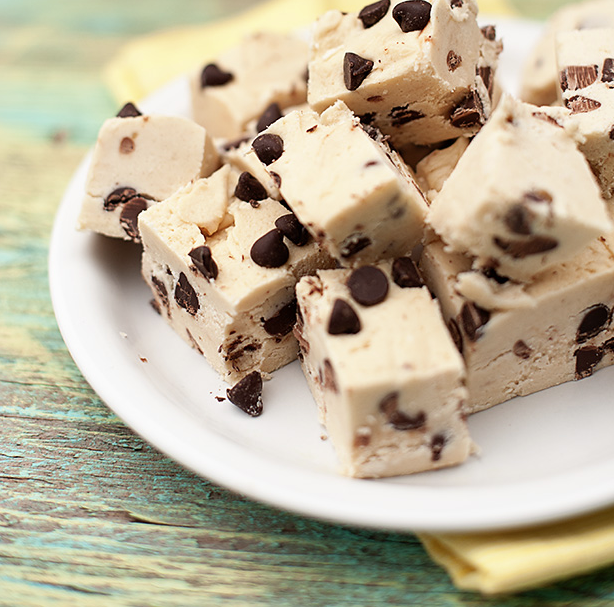 Chocolate Chip Cookie Dough Fudge by Buns in My Oven. Just drooling at my desk. If you have any amazing recipes that I need to try ASAP (I have an absurd amount of brown sugar at my house for some reason, so anything that involves that will be good,) please share them! Or just drool over these photos, whichever you prefer.